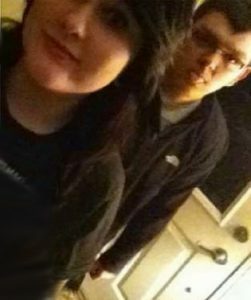 Alex Gerlach, who dated Zephen Xaver when he was living in Indiana, told WSBT-TV that Xaver has been “fascinated with death and guns” for a long time. Gerlach said they had an off-and-on relationship for two years, but kept in touch after breaking up. She said Xaver talked often about wanting to hurt people, and recently showed her a photo of a handgun he had purchased. This is called a REM Sleep Disorder, has long been known to include both murder& suicide & 86% of those being diagnosed with this are currently taking an antidepressant. But this disorder. Has LONG been known as a drug withdrawal state & yet with such a high rate presenting with this deadly sleep disorder while on the drugs, no research to date as far as I am aware has been done to determine how often it is found in those, like comedian Phil Hartman’s wife Bryn, who have fairly recently rapidly withdrawn from antidepressants or had there dosages4 abruptly & drastically changed?! Thanks to our Washington state director Jay Baadsgaard for this information from the Wall Street Journal and thanks to everyone else for sending all the other clues. As if anyone should be surprised to find these drugs at this point….. TERRORISM IN THIS CASE? THE FIRST BOY SHOT AT COLUMBINE TELLS THE FDA WHERE TO FIND TERRORISTS! ANTIDEPRESSANTS??? So sure am I on this one that I hesitate to even put question marks after the question about antidepressants being involved in this case! All those are clues and add to that the fact that he lives in “Prozacland” which everyone calls Utah where more antidepressants are used than just about anywhere else as they have led the way in use for two decades. How you lose your mother and not get on an antidepressant in Utah would be the real question here. When these things are planned on the anniversary of a personal tragedy it is often indicative of the person going into REM Sleep Behavior Disorder (RBD) and acting out their recurring nightmares. Because antidepressants repress REM sleep they are known to produce both psychosis and RBD. In fact they are the leading common denominator in this diagnosis being found in 86% of the RBD cases – this most violent of sleep disorders where patients are known to commit both murder and suicide in a sleep state with 80% hurting themselves or others. So would you like to take a guess where my daughter, son-in-law and four grandchildren were planning on going this evening? You guessed it! That same movie theater! Would you also like to guess how many times I have warned them about going out to public places such as this in SLC? I think it has only been every time they have gone somewhere like this. Hopefully this has been close enough to home to convince them to get out of town now! But the problem is finding a safe place anywhere anymore with the widespread use of these drugs in our world. With so many on these drugs and on the verge of going psychotic on them few places are safe any longer! Remember that researchers at Yale in 2001 found that 250,000 yearly were found in general hospital psych wards to have gone psychotic due to an antidepressant. Knowing how rare it is for a general doctor to catch these cases of antidepressant-induced psychosis the researchers pointed out that the actual figure of those going psychotic on antidepressants should be expected to be far higher than that quarter of a million per year figure. Is the figure double, triple, quadruple? Will we ever know? How Many More Do Not Make It To A Hospital? And how many more are out there about to go psychotic on their medication or in withdrawal from their medication when it takes so little to trigger the psychosis? The FDA has warned that any abrupt change in dose of an antidepressant, whether increasing or decreasing the dose, can cause suicide, hostility, or psychosis. So that would be anyone starting or stopping an antidepressant without weaning VERY gradually up or down on them. It would also be anyone forgetting to take their pills for a day or two. And it would be anyone switching from one antidepressant to another because you would double your chances by going abruptly off one and starting abruptly on another. All of these scenarios carry a very dangerous potential for a psychotic break induced by the use of an antidepressant. “For decades research has shown that impairing serotonin metabolism will produce migraines, hot flashes, pains around the heart, difficulty breathing, a worsening of bronchial complaints, tension and anxiety which appear from out of nowhere, depression, suicide – especially very violent suicide, hostility, violent crime, arson, substance abuse, psychosis, mania, organic brain disease, autism, anorexia, reckless driving, Alzheimer’s, impulsive behavior with no concern for punishment, and argumentative behavior. “How anyone ever thought it would be “therapeutic” to chemically induce these reactions is beyond me. Yet, these reactions are exactly what we have witnessed in our society over the past decade and a half as a result of the widespread use of these drugs. “In fact we even have a whole new vocabulary as a result with terms such as “road rage,” “suicide by cop,” “murder/suicide,” “going postal,” “false memory syndrome,” “school shooting,” “bi-polar” – every third person you meet anymore – along with the skyrocketing rates of antidepressant-induced diabetes and hypoglycemia. “Can you remember two decades ago when depressed people used to slip away quietly to kill themselves rather than killing everyone around them and then themselves as they do while taking SSRI antidepressants? ANTIDEPRESSANTS??? Although we have not yet learned what school shooter Adam Lanza was taking we do know he had a diagnosis of Aspergers for which antidepressants are prescribed as a standard treatment by the large majority of physicians. (If you will recall the young man who was involved in the violence with a bow & arrow that left three dead in Casper, WY the week before had also been diagnosed with Aspergers meaning it was also likely he too was taking antidepressants or recently had taken them because this can happen in withdrawal from the drugs if withdrawn too rapidly.) And I stated when this Portland mall shooting happened a week or so ago that this case clearly appeared to be antidepressant-induced as well. But when you consider the outcome in this case as opposed to the shooting at the school last Friday you can see why it is not being mentioned by those wanting to point their fingers at more gun control. There would have been far more deaths in this incident had this mall customer not have had a gun permit. Before I began to research antidepressants I was very much anti-gun even though my great great grandfather was Mayor of Tombstone, Arizona during one of the most violent periods – the OK Coral Days. Wyatt Earp was his sheriff & Johnny Ringo was his friend and one day he had to stand between them to stop a gun battle. But my kids will tell you I refused to even allow toy guns in our home. But now AFTER learning about these drugs and interviewing so many who have had adverse reactions involving violence with any type of weapon my views have changed completely. Why? Because everyone of them has made the statement that they wish someone would have stopped them (with a bullet if necessary) from doing what they did while having this toxic reaction that led them to such out of character violence where they could not stop themselves and yet did not want anyone hurt. 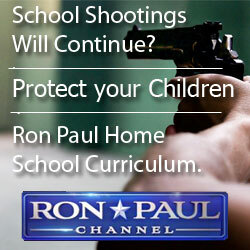 Do I believe those feelings were any different for the school shooters from Eric Harris & Dylan Kleebold to Adam Lanza? NO!!! I have always said that they would have been the ones most shocked by their own actions as they reached the other side and were able to realize what they had done because of these deadly drugs. EEERIE PROPHESY OR SIMPLE MATH? PS If sharing this link please include my statement with it. What patients on antidepressants and their families are not being told and desperately need to be warned of is the REM Sleep Behavior Disorder which is basically where patients act out nightmares. Considering the time of day this shooting happened that could easily have been what happened to this young man. That is a condition where you act out your nightmares. Restless leg syndrome is often the first sign of this developing in a patient. another sign is very vivid dreams. of those being diagnosed with this extremely dangerous sleep disorder 86% are taking an antidepressant making these drugs the most common denominator. 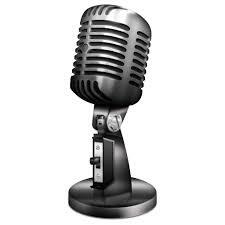 I will soon be posting an interview with another young man who was on antidepressants when he took a gun to school just over a decade ago. You will be able to clearly see that what he describes is a REM Sleep Behaviour disorder reaction steming from a switch from Paxil to Efffexor. This is exactly what comedian Phil Hartman’s wife suffered when she shot him and herself while under the influence of Zoloft. This disorder often begins to manifest via Restless Leg Syndrome or very vivid dreams or nightmares. Watching for those reactions to antidepressants is most critical. I will have a new e-book published on this very deadly reaction in the next week or so. Corey’s father is also making himself available for interviews. 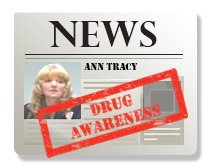 Be sure to follow me on Facebook (Ann Blake-Tracy or International Coalition for Drug Awareness) or watch for the video posting on our website at www.drugawareness.org. All the families who lost loved ones in this recent tragedy need to see this to understand the reaasons behind the nightmare they have just experienced. And all antidepressant users need to watch this video with Corey as well. Also of interest….Michael Moore, Producer of the Movie Bowling for Columbine, Together They Are Speaking Out About Antidepressants Being the Cause for Columbine Massacre, NOT GUNS!!!! 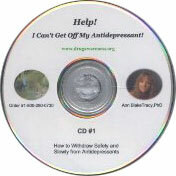 Serotonin Nightmare & safe withdrawal CD “Help! Wednesday morning the Quebec political victory party was marred by a shooting that killed one & seriously injured another as a man in a blue bathrobe carrying an assault rifle opened fire, then set a fire outside the building before he was apprehended. As usual in most antidepressant-induced shootings the man’s previous offenses were minor traffic violations only. His actions were completely out of character and according to friend’s they are in shock by the behavior. “The man police say opened fire outside the Parti Québécois victory party at midnight, killing a technician and wounding another man, is a trained engineer with a ski lodge near Mont-Tremblant, says one man who was shocked to see his friend Richard Henry Bain on TV early Wednesday morning. Dean Holmes in Spanaway, WA turned himself in this past Wednesday admitting that Tuesday night he had shot his wife multiple times while she slept. He then woke up his 11 year old daughter & her friend who was sleeping over. After dropping off the friend at her home, he then drove back toward his home while his daughter fell asleep in the back seat of the car. At that point he stopped the car, got out & through the back window shot his daughter multiple times. He then drove through a McDonalds for breakfast with his daughter’s body still in the back seat. After returning home he placed his daughter’s body next to her mother in bed & attempted to shoot himself. When he could not pull the trigger he drove to the police department & turned himself in. Keep in mind as you read this article that ANTIDEPRESSANTS ARE NOW THE BIGGEST CAUSE OF BIPOLAR DISORDER ON THE PLANET!!!!!!!!!! “The The text message, sent to another graduate student in early July, was cryptic and worrisome. Had she heard of “dysphoric mania,” James Eagan Holmes wanted to know? “The psychiatric condition, a form of bipolar disorder, combines the frenetic energy of mania with the agitation, dark thoughts and in some cases paranoid delusions of major depression. 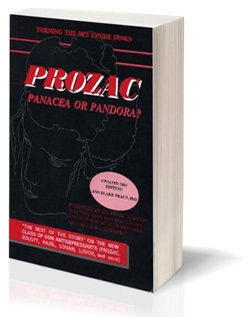 From that statement it is quite clear that he had already been “treated” with something for dysphoric mania or at least Bipolar Disorder which continued to progress into what James himself was guessing was dysphoric mania – the type of mania we so often see in antidepressant-induced mania. The thoughts he was having were nightmarish enough that he warned his friend to stay away from him because he was “bad news” … he did not trust himself & knew his thinking was off. Notice that dysphoric mania includes paranoid delusions. This is why I have said from the beginning that the way he had booby trapped his apartment was NOT as a trap for the police, but a trap for anyone coming to harm him. This is why he warned the police to be careful of what was there as they entered his apartment. They booby traps were only a part of his paranoid delusions. They then go on to point out that: “Studies suggest that a majority of mass killers are in the grip of some type of psychosis at the time of their crimes, said Dr. Meloy, the forensic psychologist, and they often harbor delusions that they are fighting off an enemy who is out to get them. “Yet despite their severe illness, they are frequently capable of elaborate and meticulous planning, he said. His stockpiling of weapons, which is so very common in those who suffer this type of mania from antidepressants, was evidence of the level of his paranoia, NOT evidence of his planning for the shooting! After reviewing thousands of these cases the pattern becomes quiet clear of arming themselves with a multitude of weapons in order to protect themselves from this unknown enemy who is out to get them. Although generally they have no idea who they are protecting themselves from since the paranoia is a chemical reaction with no basis in reality at times they do pick someone out to blame their paranoia on so as to have a reason for their feelings of such deep fear. AURORA, Colo. — The text message, sent to another graduate student in early July, was cryptic and worrisome. Had she heard of “dysphoric mania,” James Eagan Holmes wanted to know? The psychiatric condition, a form of bipolar disorder, combines the frenetic energy of mania with the agitation, dark thoughts and in some cases paranoid delusions of major depression. It was the last she heard from him. About two weeks later, minutes into a special midnight screening of “The Dark Knight Rises” on July 20, Mr. Holmes, encased in armor, his hair tinted orange, a gas mask obscuring his face, stepped through the emergency exit of a sold-out movie theater here and opened fire. By the time it was over, there were 12 dead and 58 wounded. The ferocity of the attack, its setting, its sheer magnitude — more people were killed and injured in the shooting than in any in the country’s history — shocked even a nation largely inured to random outbursts of violence. But Mr. Holmes, 24, who was arrested outside the theater and has been charged in the shootings, has remained an enigma, his life and his motives cloaked by two court orders that have imposed a virtual blackout on information in the case and by the silence of the University of Colorado, Denver, where Mr. Holmes was until June a graduate student in neuroscience. Unlike Wade M. Page, who soon after the theater shooting opened fire at a Sikh temple in Wisconsin, killing six people, Mr. Holmes left no trail of hate and destruction behind him, no telling imprints in the electronic world, not even a Facebook page. Yet as time has passed, a clearer picture has begun to surface. Interviews with more than a dozen people who knew or had contact with Mr. Holmes in the months before the attack paint a disturbing portrait of a young man struggling with a severe mental illness who more than once hinted to others that he was losing his footing. Those who worked side by side with him saw an amiable if intensely shy student with a quick smile and a laconic air, whose quirky sense of humor surfaced in goofy jokes — “Take that to the bank,” he said while giving a presentation about an enzyme known as A.T.M. — and wry one-liners. There was no question that he was intelligent. “James is really smart,” one graduate student whispered to another after a first-semester class. Yet he floated apart, locked inside a private world they could neither share nor penetrate. He confided little about his outside life to classmates, but told a stranger at a nightclub in Los Angeles last year that he enjoyed taking LSD and other hallucinogenic drugs. He had trouble making eye contact, but could make surprising forays into extroversion, mugging for the camera in a high school video. A former classmate, Sumit Shah, remembers an instance when Mr. Holmes performed Irish folk tunes on the piano — until others took notice of his playing, when he stopped. So uncommunicative that at times he seemed almost mute, he piped up enthusiastically in a hospital cafeteria line when a nearby conversation turned to professional football. Like many of his generation, he was a devotee of role-playing video games like Diablo III and World of Warcraft — in 2009, he bought Neverwinter Nights II, a game like Dungeons & Dragons, on eBay, using the handle “sherlockbond” (“shipped with alacrity, great seller,” he wrote in his feedback on the sale). Rumored to have had a girlfriend, at least for a time, he appeared lonely enough in the weeks before the shooting to post a personal advertisement seeking companionship on an adult Web site. Sometime in the spring, he stopped smiling and no longer made jokes during class presentations, his behavior shifting, though the meaning of the changes remained unclear. Packages began arriving at his apartment and at the school, containing thousands of rounds of ammunition bought online, the police say. In May, he showed another student a Glock semiautomatic pistol, saying he had bought it “for protection.” At one point, his psychiatrist, Dr. Lynne Fenton, grew concerned enough that she alerted at least one member of the university’s threat assessment team that he might be dangerous, an official with knowledge of the investigation said, and asked the campus police to find out if he had a criminal record. He did not. But the official said that nothing Mr. Holmes disclosed to Dr. Fenton rose to the threshold set by Colorado law to hospitalize someone involuntarily. Yet Mr. Holmes was descending into a realm of darkness. In early June, he did poorly on his oral exams. Professors told him that he should find another career, prosecutors said at a hearing last week. Soon after, he left campus. That Mr. Holmes, who is being held in the Arapahoe County jail awaiting arraignment on 142 criminal counts, deteriorated to the point of deadly violence cannot help but raise questions about the adequacy of the treatment he received and about the steps the university took or failed to take in dealing with a deeply troubled student. In court hearings and documents, Mr. Holmes’s lawyers have confirmed that he has a mental disorder and that he was in treatment with Dr. Fenton. They will undoubtedly use any evidence that he was mentally ill in mounting a defense. Colorado is one of only a few states where, in an insanity defense, the burden of proof lies on the prosecution. But who could divine the capacity to shoot dozens of people in cold blood? Or the diabolical imagination necessary to devise the booby traps the police said Mr. Holmes carefully set out in his apartment the night of the rampage, devices that could have killed more? A potential for violence was the last thing that came to mind when a graduate student at the university met Mr. Holmes at a recruitment weekend for the neuroscience program in February last year. But his reticence was also apparent, she said. “I noticed that he was not engaged with people around him. We went around the table to introduce ourselves, and he made a weird, awkward joke,” said the student who, like many of those interviewed, spoke on the condition of anonymity, citing reasons that included not wanting their privacy invaded by other news organizations and hearing from law enforcement or university officials that talking publicly could compromise the investigation. The university, invoking the investigation and the court orders, has refused to release even mundane details about Mr. Holmes, like which professors he worked with. As the fall term began last year and students plunged into their required coursework, that pairing of laconic ease with an almost crippling social discomfort would become a theme that many students later remembered. The neuroscience program, which admits six or seven students each year out of 60 or more applicants, sits under the umbrella of the Center for Neuroscience, an interdisciplinary and multicampus enterprise started a little over year ago to bring together basic science and clinical research. More than 150 scientists are affiliated with the center, 60 of them formally involved with the graduate program. The mix of laboratory scientists and clinicians is “absolutely fundamental” to the center’s goals, said Diego Restrepo, its director. Dr. Restrepo and two other administrators met with The New York Times under the ground rule that no specific questions about Mr. Holmes or the case be asked. The research interests of the neuroscience faculty are wide-ranging and include the effects of aging on the sense of smell, the repair of spinal cord injuries, promising drugs for Down syndrome, treatments for stroke, and studies of diseases and disorders like Alzheimer’s, schizophrenia and autism. The center is particularly known for its research on the neurobiology of sensory perception. In the first year of the program, each neuroscience graduate student takes required courses and completes three 12-week laboratory rotations, said Angie Ribera, the program’s director. Other students said Mr. Holmes did his rotations in the laboratories of Achim Klug, who studies the auditory system; Mark Dell’Acqua, who does basic research on synaptic signaling; and Dr. Curt Freed, whose work focuses on messenger chemicals in the brain and stem cell transplants in patients with Parkinson’s disease. But even in a world where students can spend hours in solitary research, Mr. Holmes seemed especially alone. He volunteered little information about himself, his interests or what he dreamed of doing with his degree, said one graduate student who, touched by Mr. Holmes’s shyness, tried repeatedly to draw him out. Attempts to engage him in small talk were met with an easy smile and a polite reply — if only a soft-spoken “yo” — but little more. But there was little doubt about his intellect. In a grant-writing class, where students were required to grade each other’s proposals, Mr. Holmes wrote thoughtful and detailed comments, one student recalled, giving each paper he was assigned to review a generous grade. In the spring, just months before the shooting, Mr. Holmes turned in a midterm essay that a professor said was “spectacular,” written almost at the level of a professional in the field. “Oh my God, James is so awkward,” a student recalled a classmate whispering. Yet in a video of scenes from Hemingway’s “A Farewell to Arms,” made when he was a student at Westview High School in San Diego, where he was on the cross-country team and was a standout soccer defender, Mr. Holmes proved a deft comedian with a talent for improvisation, his former classmate Jared Bird remembered. By the end of high school, Mr. Holmes was already pursuing his interest in science, attending a summer internship in 2006 at the Salk Institute for Biological Studies in San Diego, before going to college at the University of California, Riverside. But if he was beginning the process of finding a career, he was also forging a reputation for extreme shyness. But he stayed apart from the other interns, often eating alone at his desk and not showing up for the regular afternoon teas. He was the only intern not to keep in touch with the coordinator when the program ended. “At the end of the day, he would slink upstairs and leave,” Mr. Jacobson said. A smile and the air of one who walked a solitary path — they were enough to attract the attention of shopkeepers in the gritty neighborhood just west of the Anschutz Medical Campus in Aurora, where students could find cheap, if amenity-free, housing. On many days, Mr. Holmes could be seen cruising home slowly down 17th Avenue on his BMX bicycle toward the red-brick apartment building where he lived on the third floor, his body arched casually, his gangling frame almost too big for the small bike, a Subway sandwich bag dangling from the handlebars. Waiters and sales clerks recognized him. He washed his clothes at a nearby laundry, took his car for servicing at the Grease Monkey, bought sunglasses at the Mex Mall and stopped in at a pawnshop on East Colfax Avenue, perusing the electronics and other goods for sale. He favored a Mexican food truck in the mornings, buying three chicken and beef tacos but refusing sauce, and at night he sometimes dropped by Shepes’s Rincon, a Latin club near his apartment, where he sat at the bar and drank three or four beers, a security guard there said. But he spoke no Spanish, and other than placing his order talked to no one. On several occasions, he was spotted in the company of two other students, one male, one female. Did he date? No one seemed sure. Mostly, he was alone. “You kind of got that feeling that he was a loner,” said Vivian Andreu, who works at a local liquor store. 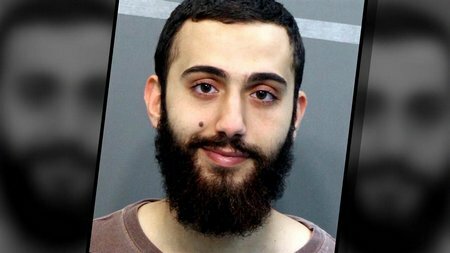 He had apparently planned the attack for months, stockpiling 6,000 rounds of ammunition he purchased online, buying firearms — a shotgun and a semiautomatic rifle in addition to two Glock handguns — and body armor, and lacing his apartment with deadly booby traps, the authorities have said. But Mr. Holmes’s neighbors did not seem to notice — Narender Dudee, who lived in an apartment next to his, did not even hear the loud techno music that blared from his rooms on the night of the shooting. “I must have been in a deep sleep,” Mr. Dudee said. Studies suggest that a majority of mass killers are in the grip of some type of psychosis at the time of their crimes, said Dr. Meloy, the forensic psychologist, and they often harbor delusions that they are fighting off an enemy who is out to get them. Yet despite their severe illness, they are frequently capable of elaborate and meticulous planning, he said. As the graduate students reached the end of their second semester, wrapping up coursework, finishing lab rotations and looking toward the oral exam that would cap their first year, some noticed a change in Mr. Holmes. If possible, he seemed more isolated, more alone. His smile and silly jokes were gone. The companions he had sometimes been seen with earlier in the year had disappeared. On May 17, he gave his final laboratory presentation on dopamine precursors. The talks typically ran 15 minutes or so, but this time, Mr. Holmes spoke for only half that time. And while in earlier presentations he had made an attempt to entertain, this time he spoke flatly, as if he wanted only to be done with it. A student with whom Mr. Holmes had flirted clumsily — he once sent her a text message after a class asking “Why are you distracting me with those shorts?” — said that two messages she received from him, one in June and the other in July, were particularly puzzling. Their electronic exchanges had begun abruptly in February or March, when she was out with stomach flu. “You still sick, girl?” she remembers Mr. Holmes asking. “Who is this?” she shot back. “Jimmy James from neuroscience,” he replied. After that, she said, he sent her messages sporadically — once he asked her if she would like to go hiking — though he would sometimes walk right past her in the hallway, making no eye contact. As is customary in many doctoral programs, three faculty members ask the questions during the exam. If a student does poorly, the orals can be repeated. “Are you kidding me?” she asked. “No, I am just being James,” he said. A few weeks later, another student recalled, Cammie Kennedy, the neuroscience program administrator, accompanied the students to Cedar Creek Pub on campus to celebrate the completion of the first year. All the students except Mr. Holmes attended. As the group drank beers and waxed nostalgic, Ms. Kennedy suddenly grew serious. Mr. Holmes informed the school that he was dropping out at the same time that members of the threat assessment team were discussing Dr. Fenton’s concerns, the official familiar with the investigation said. Prosecutors in the case have said in court documents that Mr. Holmes was barred from the campus after making unspecified threats to a professor. But university administrators have insisted that he was not barred from campus and said his key card was deactivated on June 10 as part of the standard procedure for withdrawing. In early July, the woman who conducted the text exchange with Mr. Holmes sent him a message to ask if he had left town yet. No, he wrote back, he still had two months remaining on his lease. Soon he asked her about dysphoric mania. Whether the diagnosis was his own or had been made by a mental health professional is unclear. Through a lawyer, Mr. Holmes’s parents declined several requests to talk about their son’s life before the shooting or the nature of any illness of his. Dr. Victor Reus, a professor of psychiatry at the University of California, San Francisco, said dysphoric mania is not uncommon in patients with bipolar disorder, a vast majority of whom never turn to violence. But in severe cases, he said, patients can become highly agitated and caught up in paranoid delusions, reading meaning into trivial things, “something said on TV, something a passer-by might say, a bird flying by.” Dr. Reus declined to speculate about Mr. Holmes, whom he has never met, and he emphasized that he knew nothing about the psychiatric treatment Mr. Holmes might have received. But he said that in some cases psychiatrists, unaware of the risks, prescribe antidepressants for patients with dysphoric mania — drugs that can make the condition worse. Dave Aragon, the director of the low-budget movie “Suffocator of Sins,” a Batman-style story of vigilante justice and dark redemption, remembers receiving two phone calls in late May or early June from a man identifying himself as James Holmes from Denver. The caller had become enraptured with the four-minute online trailer for the movie, Mr. Aragon said — “He told me he’d watched it 100 times” — and had pressed him for more details about the film. In the days after the shooting, faculty members and graduate students, in shock, compared notes on what they knew about Mr. Holmes, what they might have missed, what they could have done. Some said they wished they had tried harder to break through his loneliness, a student recalled. Others wondered if living somewhere besides the dingy apartment on Paris Street might have mitigated his isolation. But all that came later. No one saw Mr. Holmes much after he left school in June. A classmate spotted him once walking past the Subway on campus, his backpack in tow. Mr. Dudee, his neighbor, saw him in mid-July, his hair still its normal brown. Perhaps in a sign of ambivalence, he never took the forms he had filled out to the graduate dean’s office, the final step in withdrawing from the university. He never replied to the fellow student’s last text message, asking if he wanted to talk about dysphoric mania. At some point on Thursday, July 19, according to the police, he gathered up the bullets and shotgun shells, the gas mask, an urban assault vest, a ballistic helmet and a groin protector and moved into action at the Century 16 Theater. He mailed a notebook to Dr. Fenton that the university said arrived on July 23, its contents still under seal by the court. And he bought a ticket for the midnight premiere of “The Dark Knight Rises,” as if he were just another moviegoer, looking forward to the biggest hit of the summer. Sheelagh McNeill, Kitty Bennett and Jack Styczynski contributed research. A version of this article appeared in print on August 27, 2012, on page A1 of the New York edition with the headline: Before Gunfire, Hints of ‘Bad News’. Michael Moore – Reveals the real cause of Columbine. In Aurora, CO early this morning 71 people were shot in a movie theater & so far 12 of those have lost their lives in this random shooting. I know that most watch for the mention of someone being treated for “depression” in these cases, but these drugs are given for SO MANY reasons! What has caught my eye is that he is described as “shy” & “very intelligent” which is something we also very often see in these cases. Just over a decade ago I recall helping a family in Israel. Their teen son was being treated with Paxil for being shy. They ordered a copy of my book, read it & were of course very concerned, BUT their son appeared to be doing well on the drug so they thought if they watched him very closely maybe he would be okay. Tragically what most people do not understand is that when someone is given an antidepressant for shyness it appears to “help” because of the signs they are going manic! When someone goes manic they become boisterous, outgoing, talkative … basically a party animal. So clearly that brings someone “out of their shell” so to speak. But this is really a sign they are about to go off the deep end on these drugs! In this case the family did not think to watch their son throughout the night as well as the day. He got up in the middle of the night & blew up an Army jeep & in his delusional state began ranting about how he wanted to be a suicide bomber. Out of his shell? You bet! No longer shy? After the embarrassment of realizing what he had done he became even more withdrawn. And he also faced serious criminal charges. Is this another case like this one? I believe we will learn that it is from all we have heard about this young man. 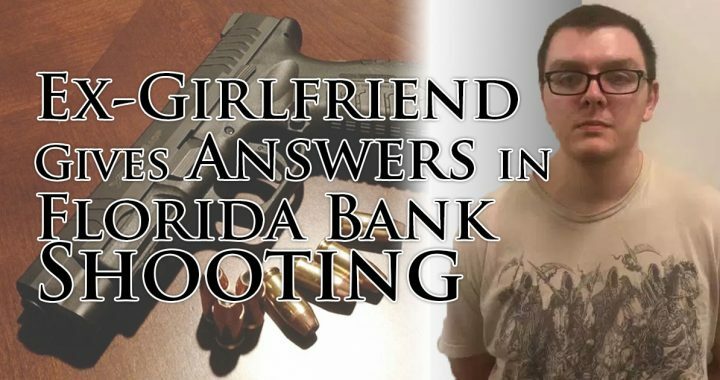 It took Rosie & It 6 months of watching & waiting & searching for the answer in the Atlanta Day Trader Shooting when Mark Barton killed his family & then went on a shooting spree. Finally the police admitted they found Prozac pills scattered all over the van Mark Barton shot himself in. These answers do not come easy! There is a huge profit to be protected by hiding the truth about these drugs! Please when you share the Michael Moore statement with your local media also share with them our database of cases that Rosie Meysenberg & I worked on gathering for many years to stand as witness to the adverse impact of these drugs upon our society: www.ssristories.drugawareness.org It is shocking to see case after case documented as clearly as Rosie & her husband did for us in this database. It should wake anyone up to the serotonin nightmare in which we find ourselves! And if you have not yet joined us on Facebook we would love to have you do so under my name Ann Blake-Tracy &/or under the International Coalition for Drug Awareness. to educate the public about this group of very dangerous drugs. cubicle at Edgewater Technology Inc.
Acclaim would be repossessed, according to a source familiar with the call. unconcerned that the supervisor made a note in her log. minutes, authorities say, McDermott had murdered seven people. telephone call and are investigating its connection to the slayings. concerns about money to Edgewater’s president. shared her concerns with the family. would be seized for nonpayment of a 1997 loan. his car had been spotted close to a wooded area where gunshots were reported. young woman said she also saw a man closing the trunk of the car. antidepressants, contributed to the rampage. ranks as one of the worst mass murders in Massachusetts history. door to the accounting office, authorities say. and behind a coat on her chair. Beverly; and Craig Wood, 29, of Haverhill. handgun made in 1914 was tucked in his pants, authorities say. IRS was after him,” according to Nat Manfredi, one of four brothers. another way to pay off the debt. immediate costs, a source said. teddy bear had been set up by co-workers and other mourners. solutions also should be sought on a national level. This story ran on page A01 of the Boston Globe on 12/29/2000. © Copyright 2000 Globe Newspaper Company.